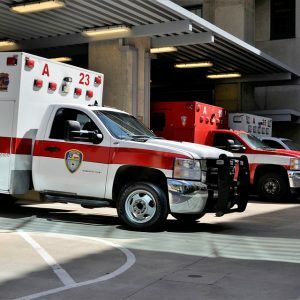 Fort Worth, TX (April 1, 2019) – Just after 2:35 a.m. on Saturday, March 30, Police and emergency crews responded to the scene of a car and semi-truck collision. The incident occurred On Interstate 20 near McCart Avenue. According to reports, a female was traveling westbound on Interstate 20 when she veered off the highway and struck the rear-end of a disabled semi-truck. The woman was pronounced dead on the scene by Patrol officers who responded to the incident. The victim was later identified as 26-year-old Angenic Smith from Fort Worth. Our sincere condolences go out to the family of Angenic Smith who lost her life in this incident. Our thoughts are with them at this time. Each year, 250,000 victims lose their lives in automobile accidents across Texas. Sadly, the chances of sustaining a serious or life-threatening injury in an automobile accident are greatly increased in instances where semi-trucks are involved in the accidents. When a person loses their life in a semi-truck accident, surviving family members are able to contact a Texas wrongful death attorney to file a lawsuit against the at-fault party. These lawsuits enable burdened families to recover compensation for funeral expenses, medical expenses, and various other damages resulting from the incident. If your loved one died in a motor vehicle accident, due to a negligent or reckless driver, contact our Texas accident injury attorneys from the Benton Law Firm. For several years, we have helped Texans collect millions of dollars in compensation for damages and injuries they sustained, and we are dedicated toward helping you obtain the maximum amount possible. Contact our reputable Texas truck accident attorneys at (214) 219-4878 to schedule a free case evaluation at your earliest convenience.